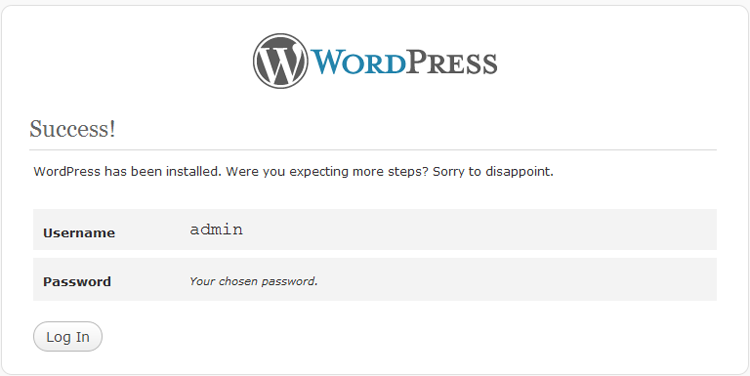 I plan to investigate it and then tell you about WordPress 3.0 new staff here. This time let’s check if something new was appeared in the famous WordPress 5 minute installation procedure. Does it still so much fast, simple and easy as it was many years before? Let’s start. We will see what you need to edit WordPress configuration file manually later. Now just click “Create a configuration file” button. It is time (you are right) press “Let’s go” button. Input required database credentials information and proceed with “Submit”. You’re right again – we should press “Run the install” button. Are you ready to the final step? 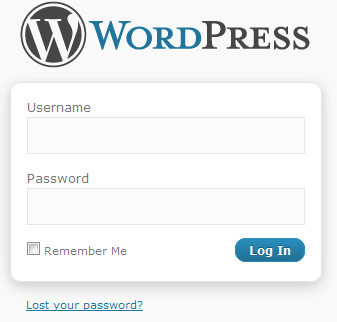 Input last information needed to set up your own WordPress. Good change I noted is the ability to change Administrator user name and password just before the blog installation, not after 1st login as in earlier versions. Let’s proceed? 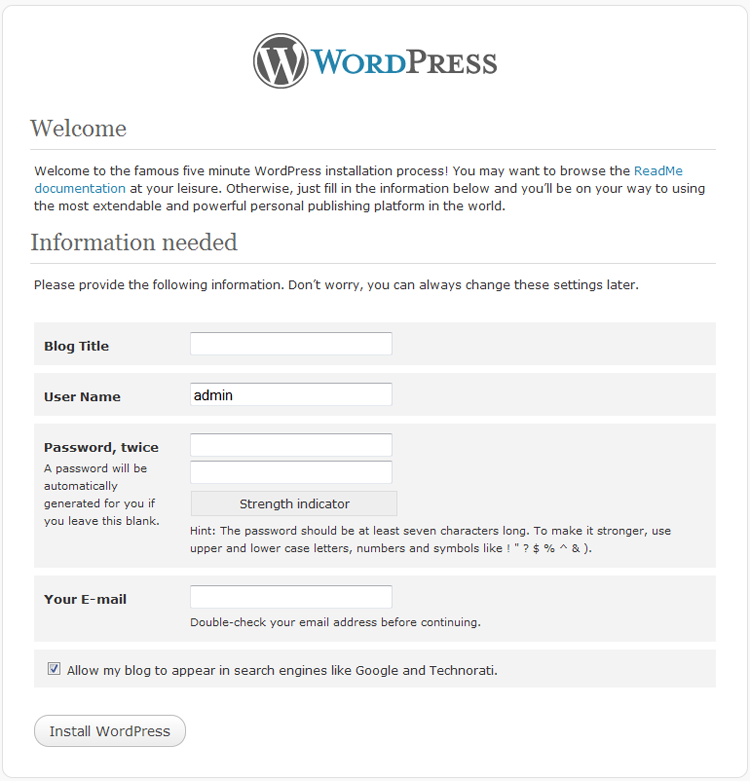 Press “Install WordPress” button. If for some reason WordPress couldn’t edit configuration file for you itself or you prefer to do such things manually, before WordPress installation procedure begin, look into the WordPress installation root directory, find wp-config-sample.php file, copy it to the wp-config.php file and open with your favorite text editor. Yes, you see these parameters on page at Step 3 already. You can find these rows at line 17. Input your host database real values there instead of dbname, dbuser, dbpassword and (if needed) localhost. Edit it if needed. 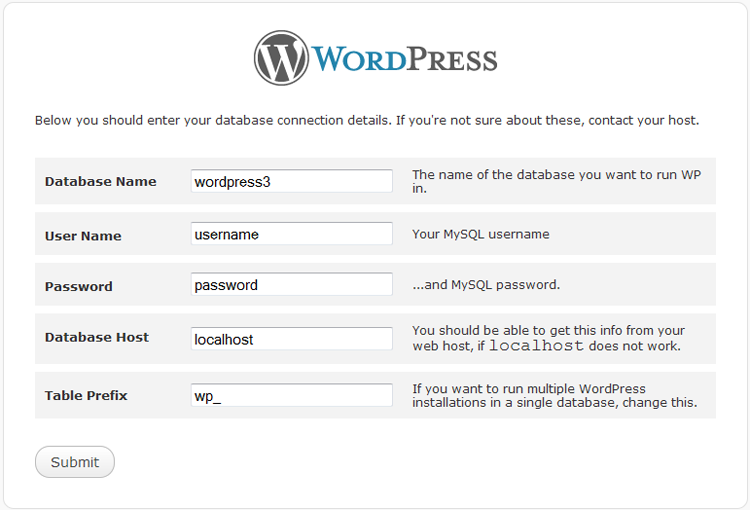 Save the changes and upload wp-config.php file to your site host, if you edit it locally. You are ready to start famous WordPress 5 minute installation. It will begin for you right from Step 3 in this case. It is very important to use your own unique key values here. It’s easy to realize. 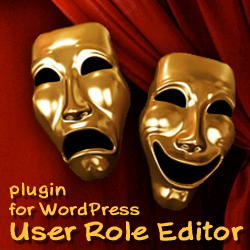 Thanks to WordPress developers team. Check the comment above. Go to the https://api.wordpress.org/secret-key/1.1/salt/ link, copy keys from there and replace current keys section with a new one. That’s done. 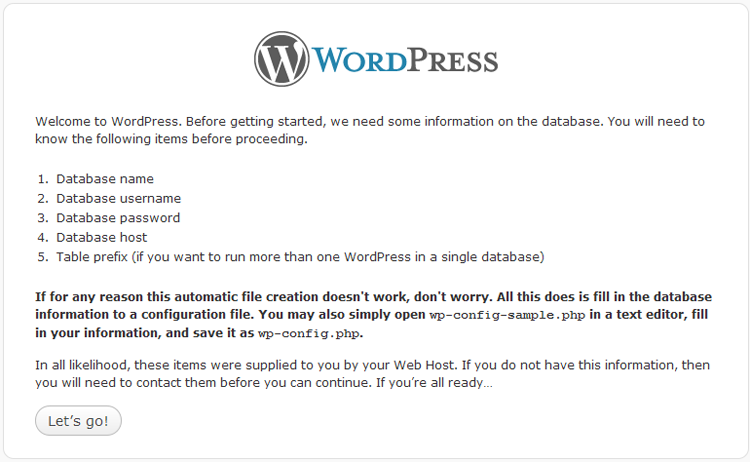 Now you and I know that WordPress 3.0 have the same famous simple, easy to realize 5 minutes installation procedure. Just proceed with it in the real WEB world. Good Luck in your blogging! This entry was posted on Monday, April 5th, 2010 at 13:04	and is filed under WordPress. You can follow any responses to this entry through the RSS 2.0 feed. You can skip to the end and leave a response. Pinging is currently not allowed.